73.5 metre Project 783 was built by Nobiskrug, designed by the award-winning Reymond Langton Design studio, and was delivered in 2012, when Imperial Yachts acted as the Owner’s Representative. The brokerage firm is delighted that she is still exclusively managed by them today, having recently been listed for sale. This elite class superyacht has never been seen on the brokerage market before, neither for charter or sale, so this is an excellent opportunity to make an investment of a lifetime. Having built one of the largest and most famous yachts in the world, Sailing Yacht A, as well as the hugely popular charter yacht Siren, Nobiskrug is undoubtedly one of the highest regarded shipyards in the world — known for its authentic German quality and precision. 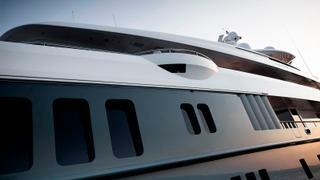 Project 783 retains the excellence that Nobiskrug’s customers have come to expect. With iconic, aggressive lines, warm and luxurious interiors, there is no other way to describe her than "state-of-the-art". Project 783’s effortlessly stylish and minimalistic interior was conceptualised and furnished by the renowned designer Mark Berryman. With an al fresco Mediterranean style, this superyacht is perfect for those who like a clean and fresh finish, with an abundance of natural light. 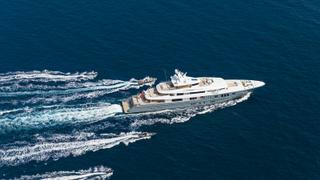 She has an elegant, timeless feel, and thanks to her high-quality, neutrally coloured furnishings, there is no expensive refit on the horizon — unlike many other superyachts on the market. Project 783 has six luxurious cabins, including an expansive owner's suite on her main deck, complete with a 180-degree view balcony that folds out, and a VIP stateroom that allows guests to step out onto the bridge deck. The other four guest cabins comfortably accommodate a further eight guests, bringing the total of overnight guests to 12. 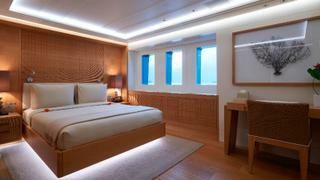 All cabins have stylish furnishings, subtle lighting and are equipped with en-suite facilities. Whilst Project 783 has never previously been chartered — hence her immaculate condition — she would make an incredible investment for those who are looking to benefit financially from their next yacht purchase. With amenities such as a large Jacuzzi, an interior and exterior cinema area, a fully kitted out gym, as well as spacious and inviting dining and entertaining areas, there really is no need to head on shore with Project 783. However, if guests do decide that they are keen to explore the surrounding coastline or if they fancy adding a shot of adrenaline to their day, then there is a powerful tender and a huge array of water toys to choose from, including three SeaBobs, which will satisfy even the most adventurous guests. 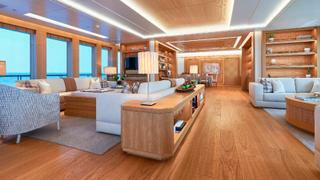 Plus, with 23 welcoming and capable crew-members on board, all guests’ needs will be more than catered for. Project 783 will be on display at this year's Monaco Yacht Show – if you are considering investing in her, please contact Imperial Yachts who will happily arrange a viewing. Whilst Project 783 has never previously been chartered — hence her immaculate condition — she would make an incredible investment for those who are looking to benefit financially from their next yacht purchase. With amenities such as a large Jacuzzi, an interior and exterior cinema area, a fully kitted out gym, as well as spacious and inviting dining and entertaining areas, there really is no need to head on shore with Project 783. However, if guests do decide that they are keen to explore the surrounding coastline or if they fancy adding a shot of adrenaline to their day, then there is a powerful tender and a huge array of water toys to choose from, including three SeaBobs, which will satisfy even the most adventurous guests. 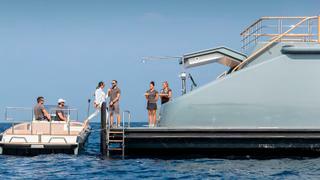 Plus, with 23 welcoming and capable crew-members on board, all guests’ needs will be more than catered for. Project 783 will be on display at this year's Monaco Yacht Show – if you are considering investing in her, please contact Imperial Yachts who will happily arrange a viewing.